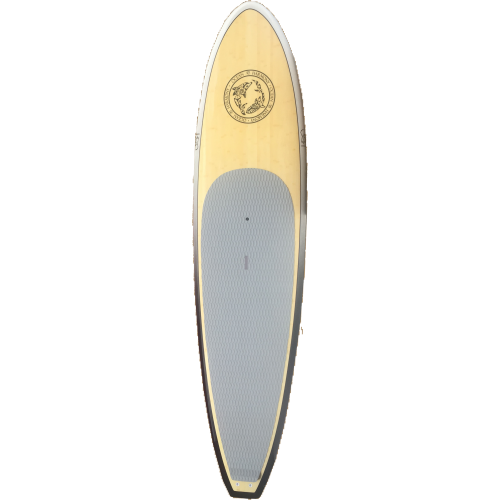 This 10' board is very popular and for the smaller or more experienced paddler it is a perfect choice. It is also good for in the surf. It is best suited for beginners under 85kg and intermediates and up to 95kg. 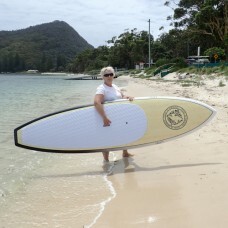 It is definitely the board that you want after you have been paddling for a while but beginners may struggle with the narrower diameter. 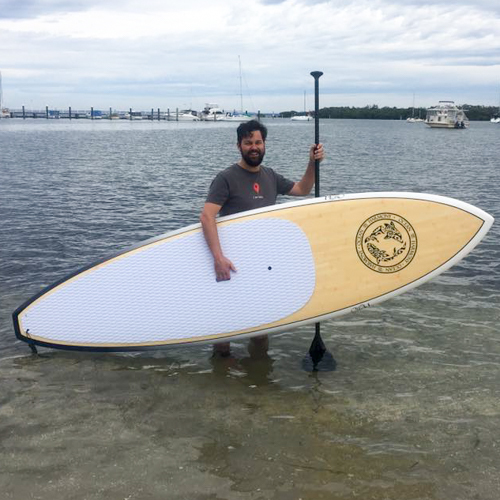 It is truly a beautiful looking paddleboard. The Ocean and Harmony totem for this board is the Snubfin Dolphin. These are a very small variety of Dolphin found in WA. Pay with Direct Deposit (rather than PayPal) for a free deck rigging kit with all paddle-board orders.